The Santa Claus Conservatory Santa Claus school has been featured in the Wall Street Journal, Fox Business, Money magazine, VOX and many others. Register now & receive instant access. Outstanding classes, from the very first session! Was always excited and looking forward to the next session. 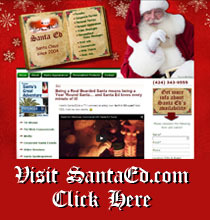 These sessions added to my knowledge and skills not only for portraying Santa, but my business abilities and web pages. Absolutely fantastic! This is my first year of being a paid Santa and the information I learned from the class on SEO for web pages has proven to be invaluable. Thanks, Santa Ed, for all your hard work and for your dedication. The PLATINUM Level is designed specifically for Santas who would like to add TV commercials, shows, movies & commercial photography to their list of services. Santa Ed shares his experience and connections in the Entertainment Industry. Having appeared in 13 national commercials, many local commercials, national TV shows including Jimmy Kimmel, The Doctors, Steve Harvey, Nickelodeon, and many others, as well as in movies and commercial photography projects gives Santa Ed a breadth & depth of experience that is unparalleled in the Santa community. In addition, through individual & group mentoring sessions Platinum Members have opportunities to learn from the experiences of other Santas & industry professionals. Platinum Members have access to ALL Conservatory sessions and exclusive access to these 3 sessions. PERSONAL ACCESS TO ED TAYLOR for any questions you may have at any time during 2019. You receive access to all of the live sessions, including our 9 “Core-Curriculum” sessions. In addition, you receive access to our complete library of more than 75 ‘on-demand’ sessions. These sessions include storytelling, beard care & whitening, working with children & adults with special needs, sign language for Christmas performers, working with malls, working with photo studios… and many, many more topics. You also receive a Certificate of Completion that is suitable for framing and a web-badge that you can add to your website and social media. You also receive a word doc of the Booking Agreement I use, samples of various marketing pieces, the written text “The Jimmy Hyatt Story: Why Santa Started Giving away Coal”, and a whole lot more. And all of the sessions available to Silver members. Your investment for 12-month BRONZE Level Membership is ONLY $27. You receive access to 5 sessions & my Booking Agreement & more. 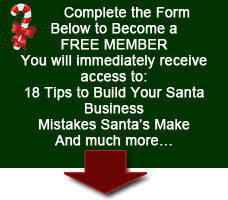 Last is our Free Santa Claus School Membership Level. At this level, you receive access to 2 ‘on-demand’ sessions and invitations to several of our live webinars each year. To become a FREE Member use the form on the top righthand side of this page. 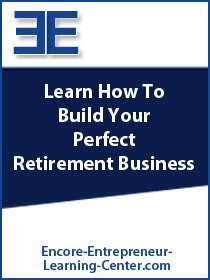 ALL of the Paid Membership Levels come with a 60 DAY BETTER THAN MONEY-BACK GUARANTEE… Watch as many of the sessions as you would like, (they currently cover 29 separate topics) if, at the end of 60 Days, you feel that you haven’t received your money’s worth simply request a refund and one will be issued no questions asked. You get to benefit from anything you may have learned from the sessions you watched and you get your entire tuition refunded, hence BETTER the Money-Back Guarantee! I’m confident that you will find way more value than your tuition… so confident I guarantee it! The only caveat is this- You may NOT get a “Certificate of Completion” or display any of our “web badges” if you request a refund. “I really enjoyed the video sessions. The marketing session was extremely helpful in getting ideas for my website. The sessions on corporate and community events have been valuable as well. 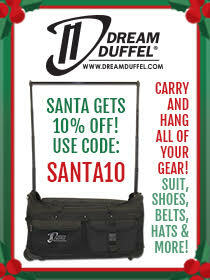 Overall, this is a great way for a new Santa to launch. In our first year as Santa and Mrs, we far exceeded our expectations. Not sure of the final tally, but we have had several $1000 or more days. Most parties and events told us that we were the best ever. Many asking about booking us next season. You receive a PDF “Certificate of Completion” that when printed out is suitable for framing and a “badge” for your website. Thanks so much for the great Santa business advice, tonight. Really enjoyed the session and see much value in each of the classes that you will make available in March, April, and May. I took your classes last year and highly recommend them and you. Your webinar tonight was very well done and you managed to stay on topic very well. Your outline was very concise and I picked up several good tips. Thank you for another fine presentation. As you recall I participated in your webinar series last Spring and got so much out of them that really helped me during the past year and holiday season. 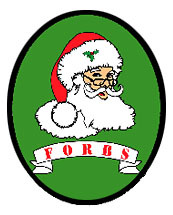 Again tonight, though time restricted for each topic, I picked up several new ideas and bits of information for my Santa business. And I am one who knows first-hand how you will expand each of the topics in your upcoming webinars. Thank you. I feel I picked up some useful ideas. I have been doing this for two seasons now. 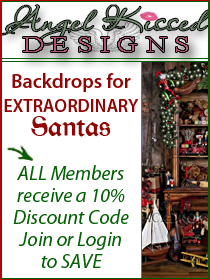 I am a part of the group called Lone Star Santa’s here in Texas. I personally am located in Fort Worth. Thank you for your enthusiastic example as well as encouragement to be myself. I have had a great time with kids, both young and old. 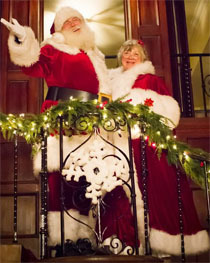 The Santa Claus Conservatory is the only Santa Claus school of its type. 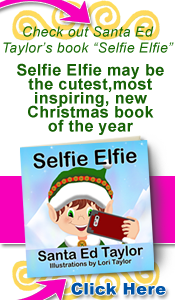 Allowing Santas & Mrs. Clauses to learn from other Santa & Mrs. Clauses from across the US & around the world. If you have any questions call or text Santa Ed at 424-343-9555. You are amazing! 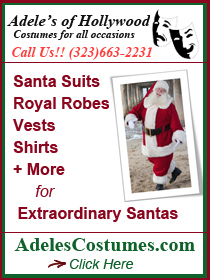 I’ve worn the red suit some seven years and always find something new to learn when I visit your site. Thanks Santa Ed. When are you going to start offering the Gold program again. Your website shows it is not currently available. Gold & Platinum membership will be available April 1st for live classes starting in May. You get instant access to ALL of the video recorded sessions. I love the Webcams and webinars, Packed full of information. I tried to view the backdrops but the link does not work. Just watched last Wednesday night’s “class.” It was great! Loved the stories. I appreciate that you provide these to be viewed later. I have a church choir rehearsal on Wednesday evenings at the time of the live stream, so the recoreded version is how I catch up on this information. Thanks for all you do! I’m new to this and only scratched the surface of all the content available but I’m really enjoying it! So much to learn and experience as I develop how I’m going to do this. Thank you for providing this option that in the grand scheme of things is very economical! This is truly an art and learning techniques and styles is crucial. I have no doubt I’m getting my money’s worth! Thank you!